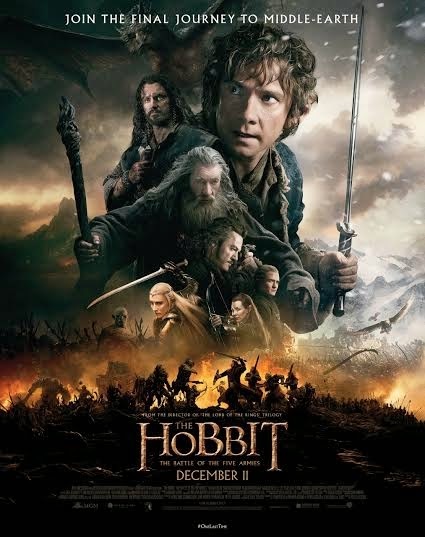 Tomorrow night at 9pm in the Muscat City Centre branch of VOX Cinemas is the country-wide premiere of The Hobbit: The battle of the five armies. General admissions will go on sale later this week. I've got 5 pairs of tickets to give away to this, and it's really simple - all you have to do is answer the question in the survey form below (I'm using this survey form to protect all of your email addresses from other people seeing them). I'd choose A if I were you. I'll announce the winners later today! WOW! One of your best competitions! My son would freak out if I won this! Thank you for all the competitions!